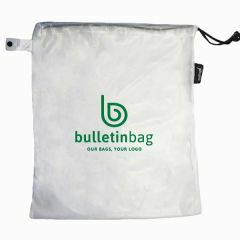 This breathable, micro-mesh produce bag is designed to keep contents visible. 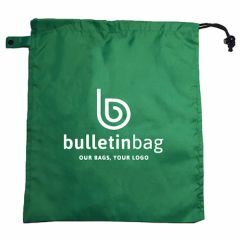 It features a drawstring closure with sliding push fastener, and the center panel is perfect for your messaging! The recommended weight tolerance is 22 pounds! Hand-wash only. Please note: All full color printing must be ordered in quantities of 100 pieces.